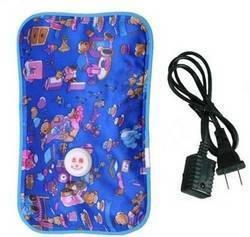 This smart care super deluxe hot water bottle contains 2000 ml of water. 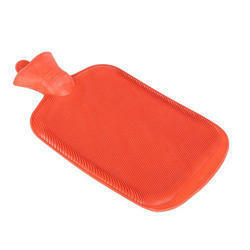 This is used as a natural body warmer in winters and also for Heat Therapy treatment. This smart care rubber super deluxe hot water bag contains 1000 ml of water. Make sure this product is already filled with approx one liter of normal water. Press the root of water hole to exhaust the excess air. Put it in a dry place, the product will be linked to power cable into a socket, the indicator light will turn on. Takes about 5-8 minutes to reach 70*c, then, the thermostat will automatically cut off the power supply, the indicator light will turn off automatically. This product warms up quickly and keeps the warm for a long time. Automatic temperature control avoids overheating. The protection device installed inside can restrain the air expansion. Leakage proof due to Vinyl film and high strength complex fiber. These Hot Bags are excellent therapy for neck and back pain, sporting activities injuries, strains, blog post medical recuperation, inflammatory joint inflammation, and tendonitis, ideal in high fever, decreases discomfort, commonly utilized by sporting activities individuals. Suits to any type of shapes of the body Safe. Holds temperature level for a longer time. Hassle-free and also very easy to make use of kids pleasant. Lightweight stylish layout for excitement the feeling.